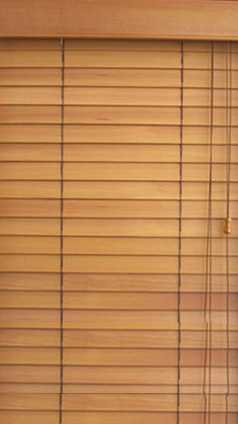 Our timber venetian blinds are classical and elegant. With cedars, oaks and basswoods. Each timber has different colour ranges from light to dark giving you a wide variety and amazing choice. Blade sizes are 50mm, 63mm and 80mm (for cedar only). The 80mm timber venetian blind have a similar blade size to plantation shutters and are often chosen as a substitute for plantation shutters when it is inconvenient to have too many shutter panels in one window. 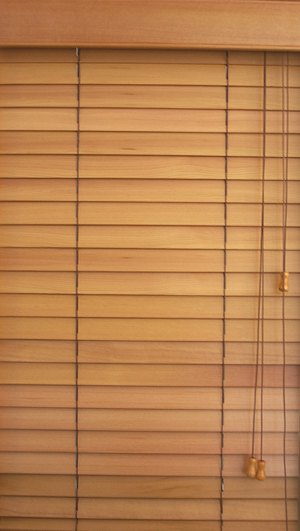 Our superior cedar timber blinds are 4mm thick compared to most cedar blinds of only 3mm. That's a whopping 25% thicker and means they will last a long long time. Remember those beautiful timber venetian blinds you used to be able to get and you possibly saw on your grandmother's house that were 25 years old. Well this is where you get them. Uniquely, we have a French provincial slat that is hand painted and then rubbed back to give a white washed look. Simply beautiful and all made here locally in Australia.